No question, the holidays at Disneyland are truly magical. 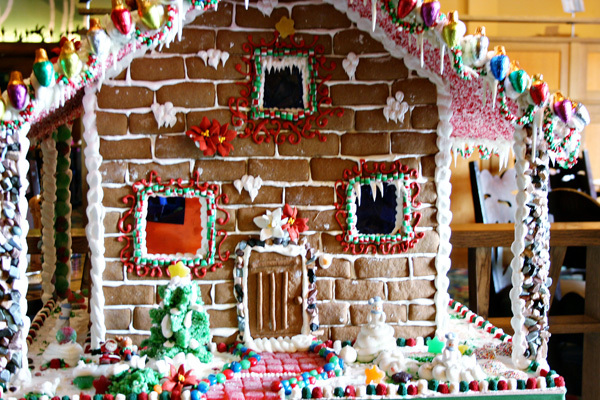 The decorations, special events, and holiday atmosphere put a smile on your face. These things also bring in lots of extra people into the parks, making for long lines and crowded spaces. So if you must visit The Happiest Place on Earth over the holidays, what can you do to navigate the peak holiday crowds at Disneyland? 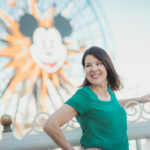 Day Trips Traveling Mom to the rescue with 11 tips that will help keep the holiday Disney magic — by navigating the holiday crowds at Disneyland. During your holiday trip to Disneyland, you want magic. What you don’t want is wasted time! To make the most out of every minute during your holiday trip, follow these sure-fire tips on how to avoid long lines and holiday crowds. Expect lots of people. Very long lines for everything. Plan on waiting. Lots and lots of waiting. But despite all this (throngs of people, long lines, and endless waiting), you’ll also experience amazing shows, extravagant holiday decor, special seasonal treats, and a definite air of Christmas through both parks. Know what to expect and you can make the most of your Disneyland days. 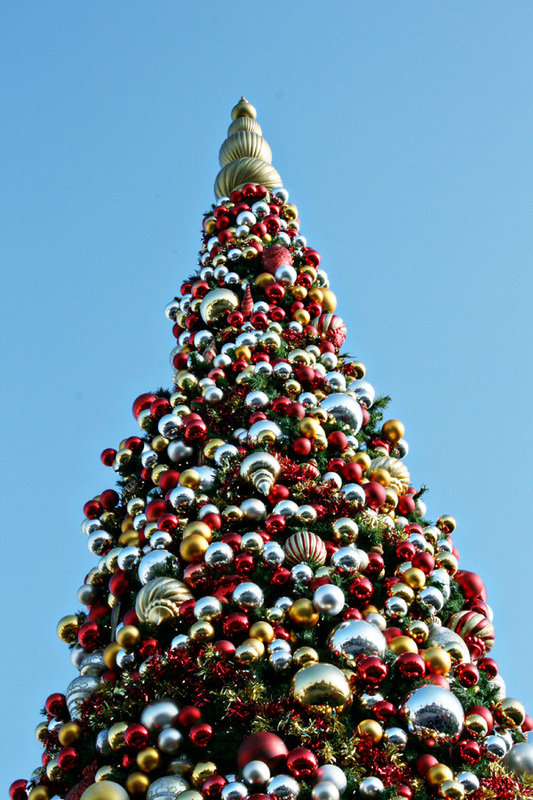 The easiest way of navigating holiday crowds at Disneyland is to avoid the peak season. If at all possible, avoid the week of Thanksgiving and the week of Christmas through New Year’s Day. These are traditionally the busiest weeks of the year. December is projected to be the busiest, so expect the holiday crowds at Disneyland throughout the entire month. When kids are out of school, expect the parks to be packed. New Year’s Eve is no-go. The parks will reach capacity that day, filled with annual pass holders and locals that stake out spots on Main Street U.S.A. for the shows very early in the day. That said, if this is the only time of year you are able to visit, approach your Disneyland vacation with knowledge of what to expect. Make sure to let the rest of your family know as well, since crowds and long waits can be very stressful for children. Buy your tickets in advance so you don’t waste time at the ticket booth. 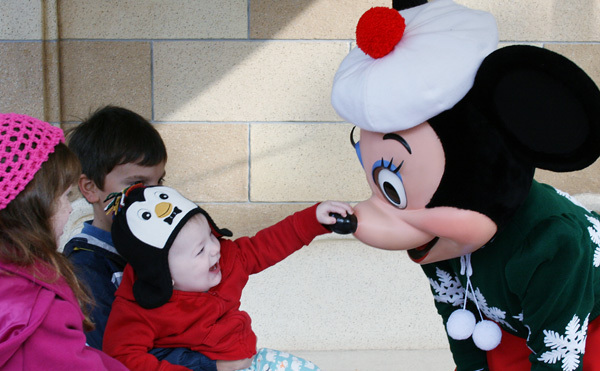 We recommend purchasing your Disneyland vacation package from our affiliate Get Away Today. Save $10 on a two or more night trip with code TravelingMom-–just for Traveling Mom Readers! Arrive 30-45 minutes before Park opening so you’re there for “rope drop”. Or take advantage of Extra Magic Hour, which allows Disneyland Resort guests into the Parks one hour before official opening. An extra hour at Disneyland is a great reason to book your stay at a Disneyland Resort hotel! Make the best use of your first two hours. By arriving early, you will have the time to get a FastPass to a popular ride (like Radiator Springs Racers, Space Mountain, Haunted Mansion Holiday) and still have the chance to ride one or more of these, as well. I also highly recommend purchasing MaxPass. This program greatly saves time by allowing you to book your FastPass reservations via your mobile device. When crowd levels are high, it is very important to plan a general schedule for your day. Know ahead of time where you’ll start in the Park and avoid wandering aimlessly. Instead of zig-zagging across the Parks (which can be a challenge when crowds are thick), stay in one area and hit as many attractions as possible before moving to the next Land. Pad your day with rides and attractions that aren’t “E-ticket”, especially in the busy afternoon hours. Wander Tom Sawyer Island, take the Monorail, explore Animation Academy and hop aboard the Disneyland Railroad. 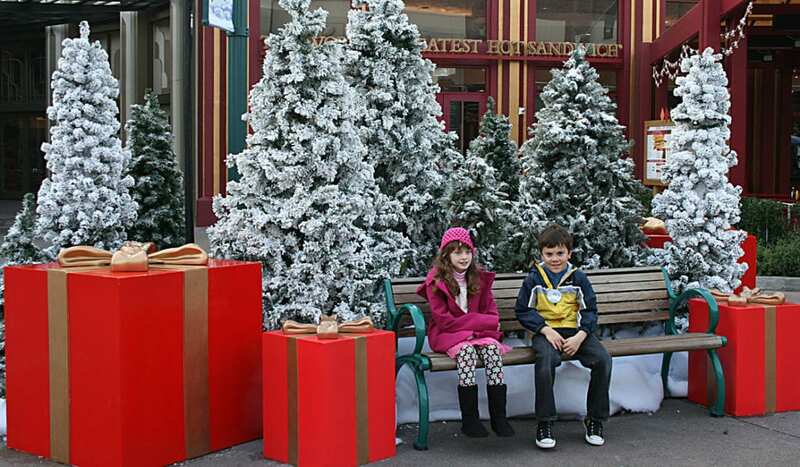 Or simply grab a seasonal treat and check out the incredible holiday decorations throughout the Lands. Although Advance Dining Reservations (ADR) aren’t necessary other times of the year at Disneyland, ADR is a must during the busy holiday season if you want to reserve a table at a full-service restaurant. You can book ADR on the Disneyland website and hold the reservation with a credit card. Don’t want full-service dining? Then no ADR needed. Before your trip, browse menus online (listed on the Disneyland website) of the restaurants you’d like to eat at. If you know what you’ll be eating, you’ll spend less time wandering around looking for a place to dine, and you’ll already know exactly what to order. When traveling with another adult, have one person order for the group and another person find a table, so as to avoid searching for an open spot while carrying trays of food. During the holidays, forget about “walk-on” attractions. You’ll be waiting for everything, from Dumbo to dining and just to use the bathroom. Start your search now for ideas to entertain kids while waiting in line. We play games in line (like “I Spy”). Or we grab a bag of snacks from our backpack. This keeps everyone in a good mood and meltdowns to a minimum when we finally reach our destination. On those crazy-busy days (like New Year’s Eve), don’t leave the Park. When the Parks reach their maximum capacity, you’ll be turned away at the gates even if you have a ticket in hand. So don’t leave. That means no Park Hopping either. One of the pluses to visiting Disneyland during a busy season extended Park hours — late into the night. If you can take advantage of this, all the better for you! Crowds thin into the night when families with young children head out. After the final parade and shows are over, crowds will lessen even more. Stick it out until closing, and your last hour may prove to be your best with shorter lines. If the crowds are getting to you, escape the Parks via Monorail and hit the Downtown Disney District. Go ice skating at Disney Winter Village, shop for gifts or treat your family to seasonal surprises available at many of the restaurants. Walking through the lobby of the Disney Grand Californian Hotel & Spa is a treat of its own as well, with an enormous Christmas tree in the lobby. Santa even makes an appearance on occasion! Haunted Mansion Holiday is insanely popular, and rightly so! The transformation of the Haunted Mansion into Tim Burton’s The Nightmare Before Christmas is stunning. Fortunately, this ride offers a FASTPASS this time of year too. So arrive early in the day to grab the golden FASTPASS or move directly into line before crowds swarm. “It’s a small world” is generally a fast moving line that rarely has a very long queue…except, when it’s transformed into “it’s a small world” Holiday! This ride is completely changed over, inside and out, for the holidays and is a can’t miss attraction. New for 2017, “it’s a small world” Holiday is offering a FASTPASS. The distribution location for “it’s a small world” Holiday is near Matterhorn Bobsleds. Because of the expected crowds during the holiday season, both Parks offer several parades and fireworks showings. 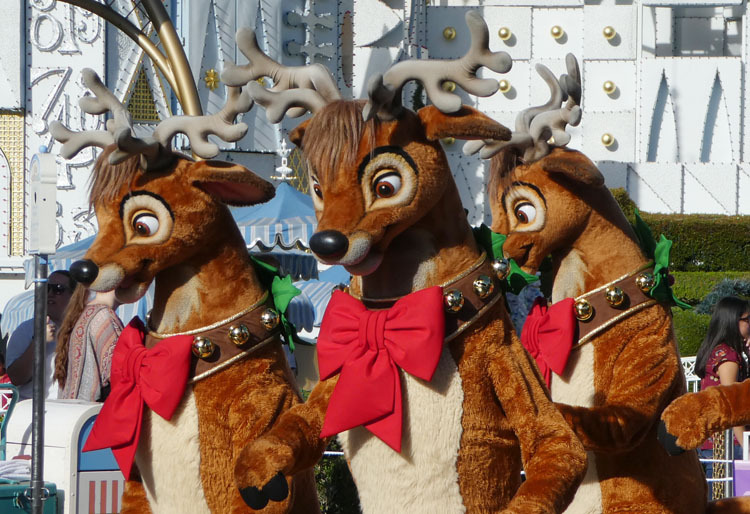 A Christmas Fantasy Parade will be featured twice daily at Disneyland. Believe…In Holiday Magic fireworks spectacular and two showings of Fantasmic! light up the night. There will also be two nightly showings of World of Color-Season of Light, a holiday water show at Disney California Adventure park. In most cases, the later shows will be less crowded and therefore highly recommended– if your kids can stay up past 10 pm to watch them, that is! In all cases, plan on arriving at your viewing location at least 30 minutes early (even earlier if it’s the early show). Candlelight Processional in Disneyland will take place only in the first weekend of December. We were there in the Park several years ago about an hour before Candlelight Processional started and Main Street U.S.A. was chaos. There are chairs for reserved seating and those that don’t have seats stake out their locations hours ahead of time to be assured a view of the stage. I’m sure this is a beautiful event (choir singing, celebrity reading of the Christmas story), but unless you have a chair, Cast Members will keep the sidelines moving and it’s extremely crowded. I’d recommend staying at Disney’s California Adventure Park during this time to avoid the scene completely. 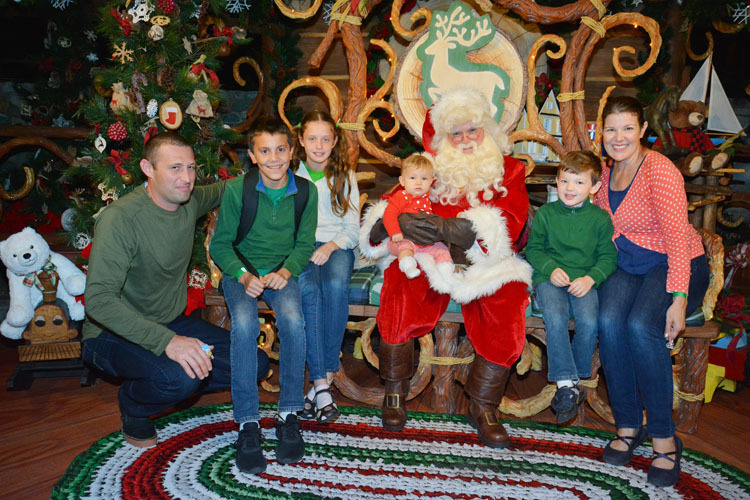 If you’re looking for a holiday event that has fewer crowds, try Disney !Viva Navidad! 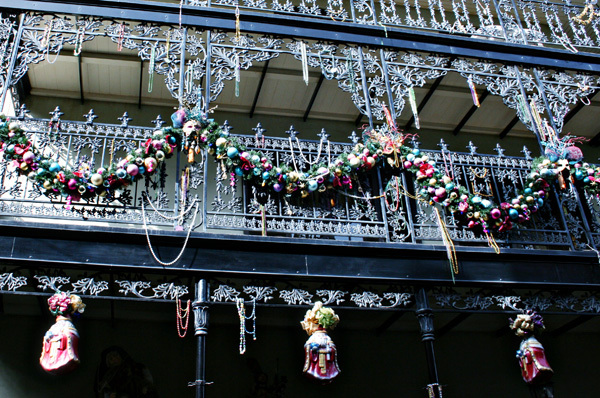 This festive street party is featured in the Paradise Garden. This holiday event celebrates Latino culture with giant “Mojiganga” puppets, familiar characters in costume with music and dancing. This event happens for most of the day, which helps keep the crowds lighter in this area. Disney’s California Adventure park hosts the Disney Festival of Holidays. Twelve kiosks will be offering specialty holiday foods for purchase including gingerbread Bundt cake, tamales, Swedish meatballs, and eggnog. I recommend grabbing your treats at each kiosk earlier in the day because the lines definitely increase as the day goes on. You know that visiting Disneyland during a peak time always means more people in the Parks. By coming prepared with your day loosely scheduled, Advance Dining Reservations in hand, family prepped on expectations and tickets at the ready, you’ll be far more prepared than most. And what if things just don’t go as planned? Just go with the flow and have fun in the moment. Soak up as much magic as you can, because it’s not all about how many rides you go on or how many character autographs you collect. It’s about making memories with your family! 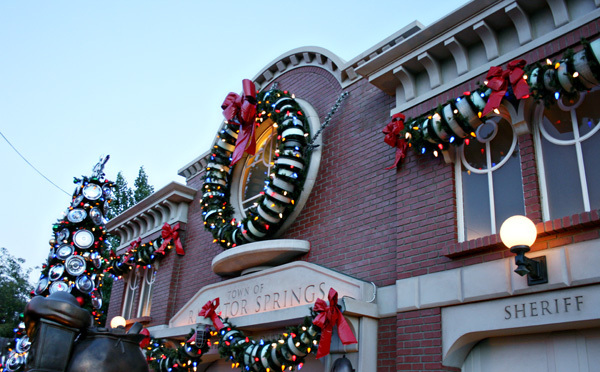 What are your survival tips for navigating holiday crowds at Disneyland? Share with us in the comments. I believe It’s A Small World has a Fast pass this holiday season.